One of the UK’s most famous Ports, Southampton is known as “the Cruise Capital of Europe”. As well as wonderful museums, it is also rich in art galleries, theatres and historical centres. Set beside the relaxing East Park, our Southampton centre puts students in a relaxing, supportive school, within easy reach of the Port and many city attractions. At TEG English we aim to provide more than just language classes. 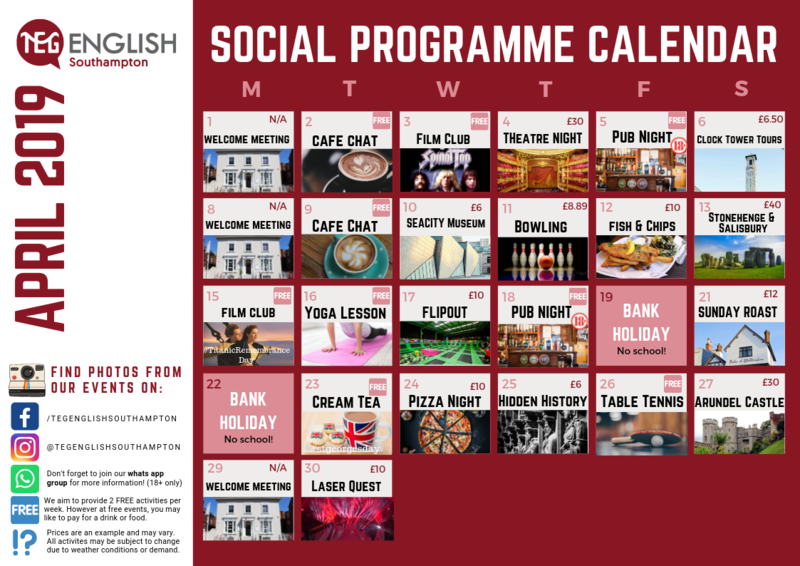 Our lessons are interactive and engaging and our social programme provides a fantastic opportunity to explore the best of UK culture. We welcome all students into the TEG family, a multi-city community that supports and guides students in their journey to full language fluency. To study English with TEG is to enjoy a rich cultural experience. We believe that successful language learning is helped by regular socialisation between students of many cultures and contact with local UK culture. All of our colleges have a fantastic social programme, with enjoyable day trips, fun events and exciting activities all year round. Southampton is a city on the south coast of England. It has a population of over 240,000 and has 2 Universities, as well as a first class shopping centre (only a few minutes' walk from TEG Southampton). There are a number of excellent parks in the city centre, very close to the college. Southampton is very much a student-friendly city with many different nationalities. However, the city’s population is still predominantly English. Southampton has great nightlife with many bars, pubs and clubs in the city centre. Central London is only 80 minutes away by train, but living costs (especially accommodation) are generally cheaper in Southampton. The city of Southampton is world famous as a port. The Titanic sailed from here on its first and only voyage in 1912. Today, many cruise ships sail all over the world from Southampton. Very close to West Quay, Southampton’s fantastic shopping centre. The University of Southampton is ranked amoung the top 100 of universities globally. Known as the cruise capital of Europe. Home to the International PSP Southampton Boat Show. Free activities include Southampton City Art Gallery, walking the Historic City Walls and enjoying the cities 50 parks. Weekend excursions available to Portsmouth, London, Oxford, Winchester, and Salisbury. 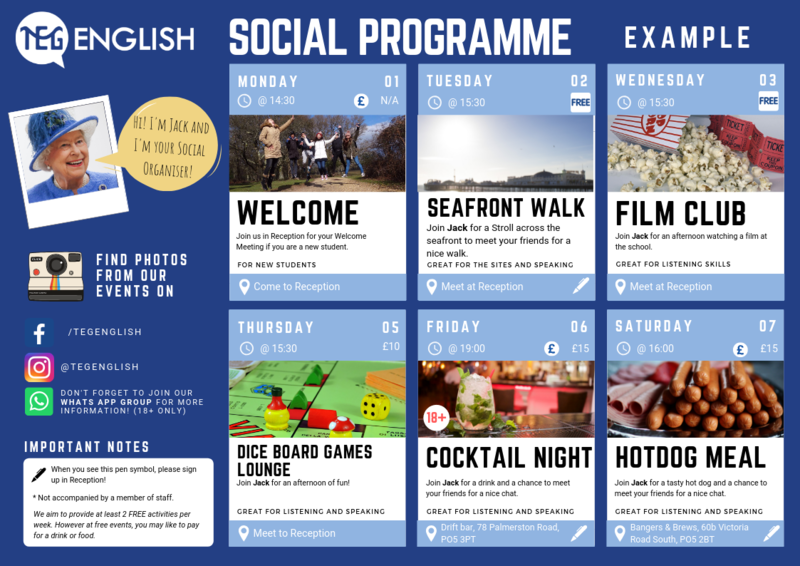 See a selection of the featured courses at Southampton. Click on the course to find out more information. Whatever your budget or needs, we can help you find the right accommodation. Our homestays are personally inspected by us to make sure you’re given an excellent opportunity to practise your English and learn more about British culture. Halls of Residence are also available for students who would prefer a more independent lifestyle.